The last bridge in Australia. There is a road. It begins in the tropics at Cape York, the northern tip of Australia, the pointy bit that directs our attention to the equator just over the horizon. The road wanders south for 5,400 kilometres through open woodlands, jungles, cane farms, towns and cities, cattle properties and four State Capitals (five if you count Townsville the ‘capital’ of North Queensland) . 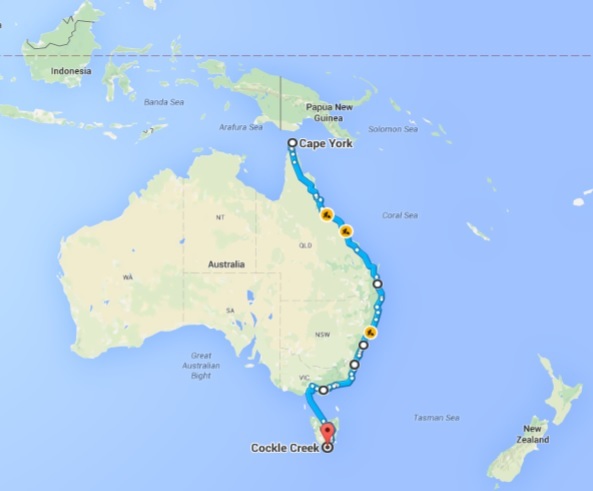 After crossing Bass Strait, it ends just beyond Cockle Creek, over the last bridge in Australia, in the sub-temperate wilds of southern Tasmania, as a sandy track, to a beach belonging to the Great Southern Ocean, which surrounds Antarctica. I want to walk over that bridge. Having already decided that Hobart is really just a friendly neighbourhood masquerading as a capital city, we took a morning drive to the eastern side of ‘The River Derwent’ where hundreds, maybe thousands of regular homes have water views to rival those of the old money / nouveau riche in Point Piper and Vaucluse (rich Sydney suburbs). It reinforces the observations we made not long after our arrival. 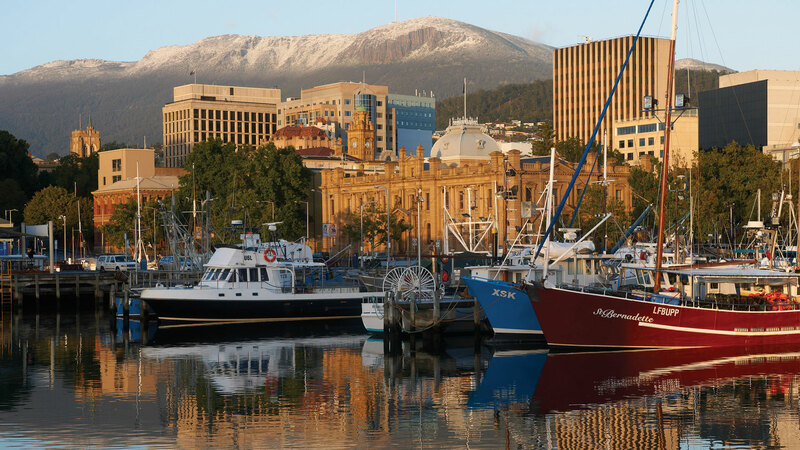 We had just spent five weeks in the beautiful village of Derby and Tassie really is a place we could live. Around every bend on this clear sunny morning, we ‘discovered’ the modest suburbs of Lindisfarne and Rose Bay, Rosny and Bellerive, facing the estuary, boasting intimate parks between yachts and small enterprises, mixed into the village feel while yummy mummies pushed their prams and their children played.